to travel and immerse myself in culture and the arts, and to approach experiences with a bigger-than-life perspective. I have always been positive and enthusiastic about life. Needless to say, life is beautiful along with its flaws and crevices, and I do not take for granted every minute that is given to me. Taiwan I have decided to study in Taiwan for three reasons: (1) PEOPLE, (2) GEOGRAPHY, and (3) CULTURE. Firstly, I have found a great Taiwanese mentor, who’s not only an expert in the field of Infectious Diseases and Epidemiology but also an adviser on how I would approach my scientific career both in and outside of an Academic setting. It is such an honor and joy working with a pool of experts in Taiwan, who have an in-depth understanding of and contribution to Science; people who share your idea how Science can improve and uplift lives. Geographically speaking, Philippines and Taiwan are neighbors; hence traveling between these two countries is convenient. In Taiwan, I can attain my objectives/goals without going too far from my home country. Finally, Taiwan and the Philippines share a common Asian culture (and yes, even genetics!). Courtesy, diligence, and compassion are just some of the Asian values that Filipinos and Taiwanese share, and because of some similarities, cultural understanding is easily met and bridging any differences between the two was only a minor factor for me to consider. I am enrolled at the Ph.D. in Microbiology and Public Health program, and I major Virology and Immunology, which deal with the human’s response or defense once under attack by medically-important viruses like Dengue and Zika. Currently, Dengue, Japanese encephalitis (JE) and Zika virus infections are among the re-emerging and most rapidly increasing illnesses among the subtropical and tropical countries. Because JE and dengue viruses are circulating in the Philippines, studying these viruses is both timely and relevant in our country. Being involved in scientific studies that could greatly contribute to Science and impact the lives of many is what I enjoy the most. Having been a Dengue Virus infection survivor myself, I could not be any more eager to work on this field. Apart from enriching my technical know-how, I have always found joy working and learning from my colleagues. Studying and working on a field of research in Taiwan is more efficient and effective, mainly because of the strong financial support is given by the government to its constituent universities or grantees. I have been working under the direct supervision of my Adviser, Dr. Day-Yu Chao, who continuously guide me on the proper conduct of scientific research. She has been very supportive of my research interests and has patiently monitored my progress. My Professor, along with the other faculty from the Graduate Institute of Microbiology and Public Health (GIMPH) at the College of Veterinary Medicine are considered experts in various fields of Science. Through the lab meetings and journal discussions we regularly conduct, I have learned so much from the constructive comments on my work to produce data-intensive research. My professors have also inspired me on how to become a better Scientist, and a better Filipino by constantly reminding me of my purposes, and how I can serve my home country better. The Institute was well equipped with the tools needed in the conduct of immunologic-based assays and experiments on molecular biology, biochemistry, and biotechnology. The Graduate students, both Ph.D. and MS students in our laboratory were very welcoming in answering my questions when I started settling in Taiwan and were also responsive in my research queries. Because I was initially an Exchange student to Taiwan during my final year in Master of Science (MSc) Biochemistry, I had a difficulty securing a 12-month Visa to enter Taiwan. With my host professor’s persistence and support, I was granted a three-month FR (Foreign Researcher) Visa followed by re-extension and re-entry to Taiwan to complete the one-year stay. After getting my Ph.D. degree in Taiwan, I plan to continue working on the fields of Virology and Immunology whether it would be still in Taiwan, in the Philippines or somewhere around the globe where my expertise is deemed needed. Studying in Taiwan also opened my doors to meeting people and learning various cultures from different parts of the world so, I also keep the possibilities of working outside Taiwan open. Further, I am open to staying in Taiwan if given the opportunity so I can continue the collaboration that I have started with my current colleagues. Aside from the Doctorate degree that I will get after finishing my studies in Taiwan, I would carry to the future all of my in- and out-of-lab experiences. Because I have thoroughly worked with people with different levels of scientific and management skills, I have trained myself to be more adaptive yet independent and self-reliant. Studying in Taiwan was also a gateway to forge collaborations with scientists and institutions in and out of Taiwan so future and continued tradition of partnership with said people would also be possible. myself. Notably, I learned that everything should be built on mutual respect. It was a beauty to learn the Taiwanese culture, and share to the world the practices and good values we Filipinos possess. Finally, RESPECT and tolerance with other culture is a universal language we all have to practice. While studying in Taiwan, I became a better Scientist. I learned advanced lab techniques, discussed lab experiences with fellow students and performed experiments with utmost dedication and excellence. I gained more confidence in designing my experiments and writing scientific papers. Above all, I learned the value of mentorship and leadership through the quality of relationship I harnessed with my Adviser and colleagues in the lab. Finally, I am a better Filipino. I learned that as we leave our comfort zones, we begin to act as Ambassadors of our country. We represent not schools, nor regional backgrounds, nor tribes nor religion but the country as a whole. I learned to value more the sense of responsibility and accountability for all my actions. By immersing myself with the local culture, I also learned how differently beautiful Philippine culture is from the rest of the world. Studying in neighboring countries in Asia, especially Taiwan is one of the most overlooked ideas we probably make as Asians. 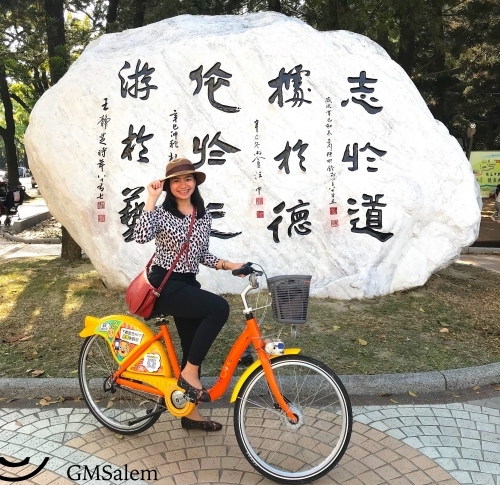 Choosing Taiwan as a study hub can be greatly considered not only because of its geographical proximity to the The Philippines, but also because through the years, Taiwan has produced well-trained, world-class mentors. Your success as an overseas student is not solely determined by the institution you choose but by your personal goals as a student. With the Southbound policy implemented by the Taiwan government, it not only strengthened the long-standing economic/business collaboration between the Philippines and Taiwan government, but it also refreshed academic linkages such as this.